I'm 99% sure I have a bunch of the paint brushes still. I'll look in the shed when the rain lets up. I will take the north side. Is this guy paying us anything to do this? If not, we're setting a precendent here. Ron (owner) is paying for the materials. 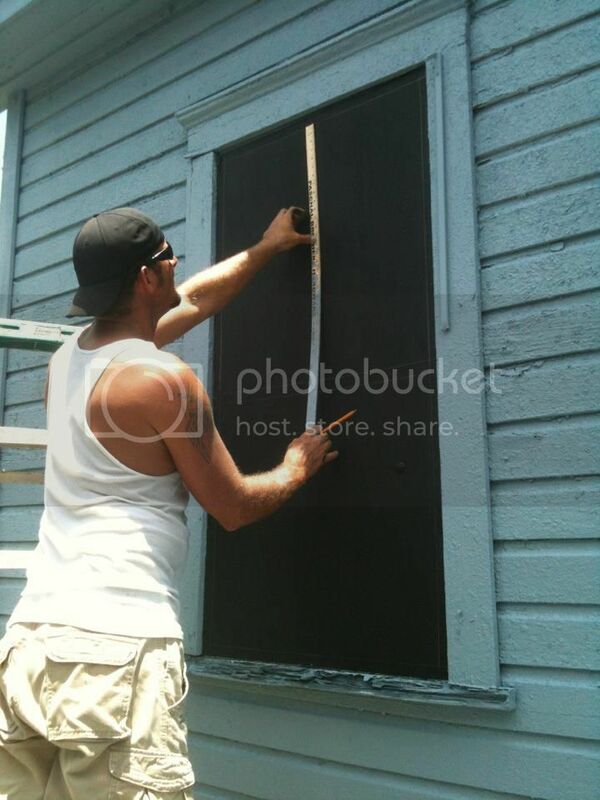 Ron is paying Gloria's crew to repair the porch. Our (PSOS board/members and community folks) work is 100% volunteer. What this did set the precedent for is the owner from NY who holds 8 bungalows to come to Jax for over a week in July/August to love her bungalows and look to have them inhabitated. I will be helping her intensely with that. Can you imagine? 9 of the bunglaows inhabitated? Am knocking on doors for a few other owners as well. Then I think Tedeschi has no choice but to jump on board once the other half comes to life. I have the brushes, although their number has suffered since Miss Maggie's. Some of them each time were left sitting around until the paint hardened, or either we didn't get all of them back. However, I have 4 useable 4" and 4 useable 3" brushes, as well as a few smaller brushes for trim. I'd say maybe 12 or so in all. I will be posting for folks to bring brushes, pans rollers etc. 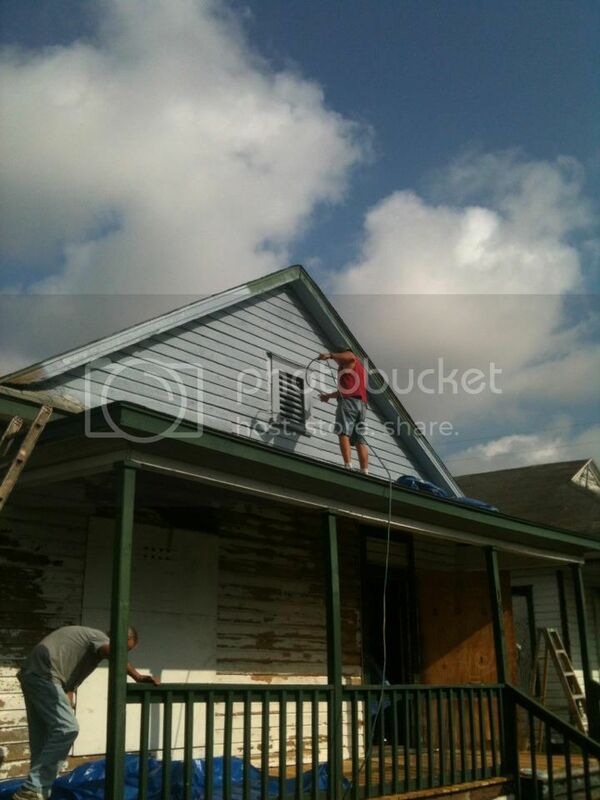 Heat index of 109 today didn't stop us from getting this bungalow ready for paint. Next step! Blue paint. Black windows. Faux sashes! Looking great! 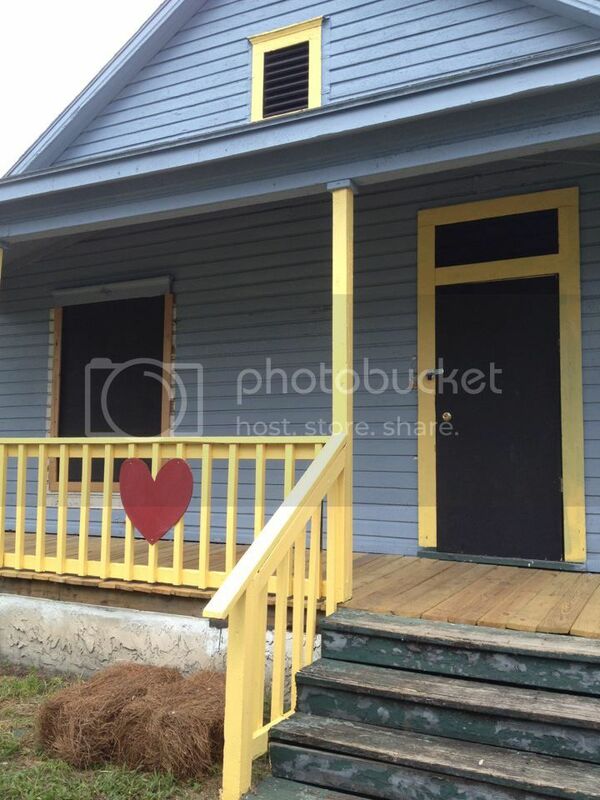 Thanks you so much for painting the house so quickly. Close to being done. Let's get this sucker inspected by this time next week. 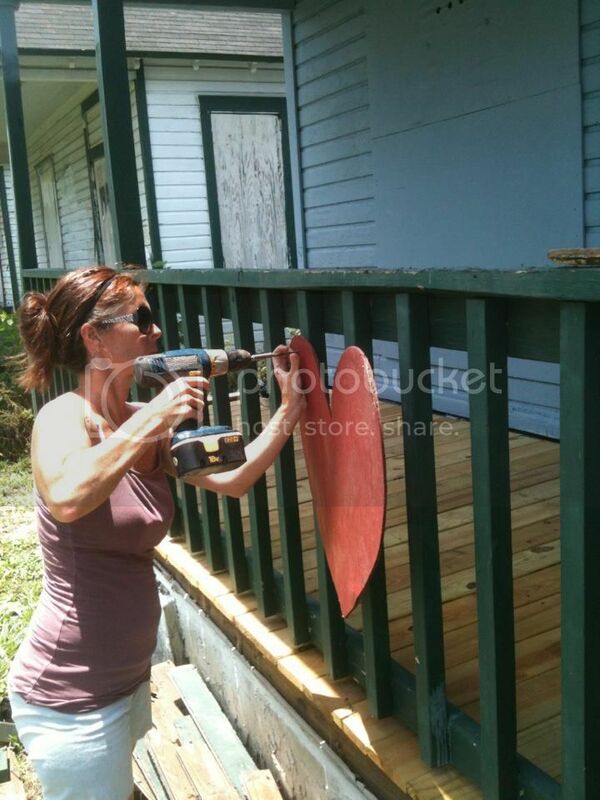 paint decking boards with Debbie's stain (on her front porch). 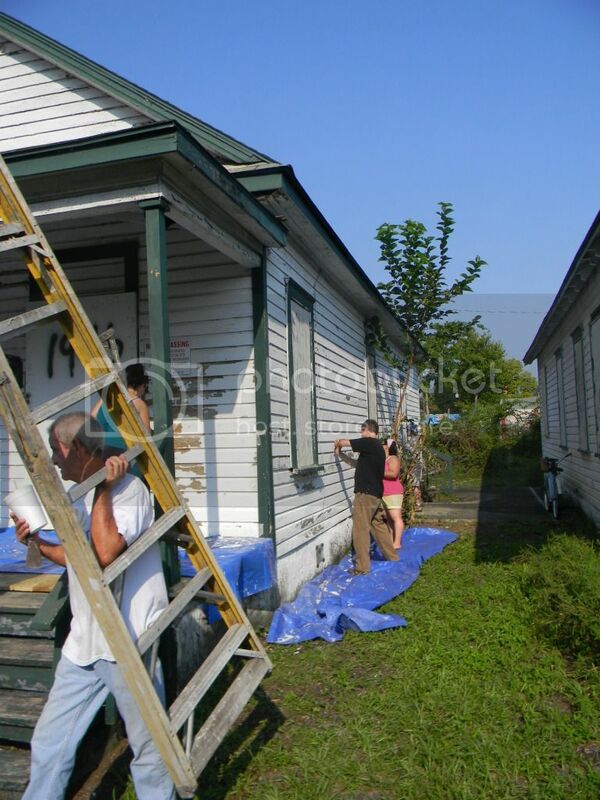 paint the rear of the house. 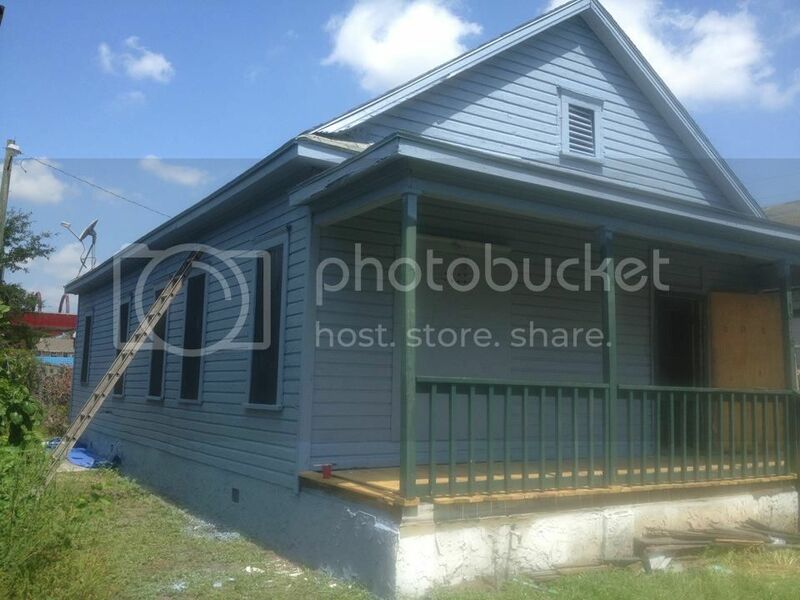 Nicole is going to finish up the north side, do the landscaping. Let's get it done and get it off our plate!!! !